← Celebrate Father’s Day with a Bang at The Legend Villas! 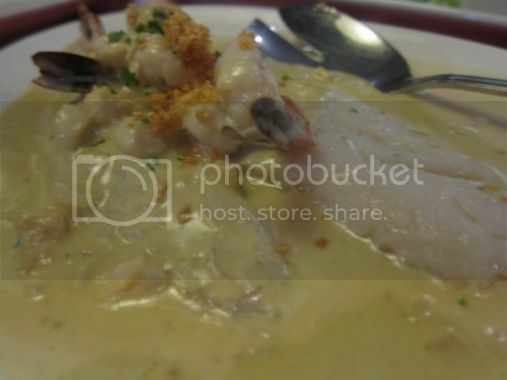 Food Trip Friday: Krazy Garlik! Somebody gave me Php2,000.00 worth of Krazy Garlik gift certificates a month ago, and we were finally able to use them last June 4, 2011. 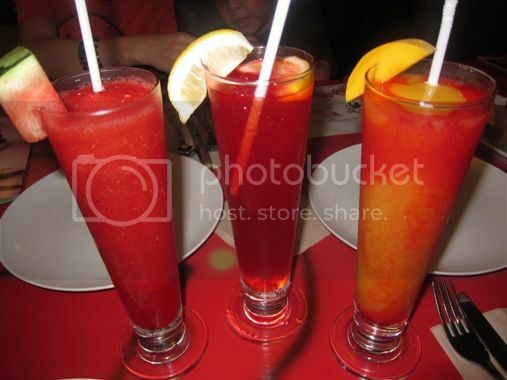 Krazy Garlik is located on the second floor of Greenbelt 5 in Makati. As the name suggests, all of their dishes have garlic in them. That’s what the manager of this restaurant said. She was one of those attending to the needs of the customers at the time we visited Krazy Garlik. 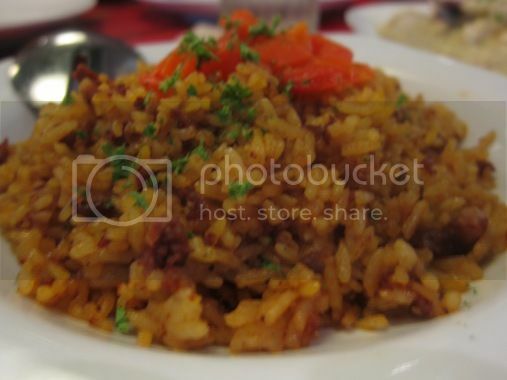 This place offers Mediterranean, Asian and Filipino cuisines. What made us order this was the cream cheese. All three of us love cheese; that’s why. 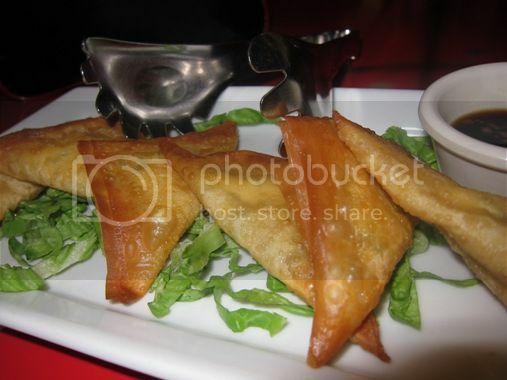 This is a good appetizer and is fine even without the soy and vinegar sauce. The pork skin was so crispy, and the meat was tender, flavorful and really garlicky. We loved this! We took home what’s left of it and had it for dinner. What I really liked about this was the meat was tender hours after we ordered it. There’s really nothing special about this dish, but I enjoyed the shrimps. Hubby liked it, though. We avoided ordering their Hara-Kiri Fried Rice because the food attendant said it’s too spicy, but Chorizo Fried Rice was also spicy. It’s not ideal to order this when you have kids with you. Spiced Water is pureed strawberries and watermelon. Jabba Baby Wockee is pureed strawberries and soda. Drink Me is pureed strawberries, ripe mango and banana. They call these drinks their health quenchers, and they’re all must-try’s. I would have enjoyed the Spiced Water better if it was served without bits of blended watermelon seeds. It was 1pm when we arrived at Krazy Garlik, and by the time we received our orders, this restaurant was almost full. One thing we liked about this place is that the manager personally welcomed the guests and made sure they were comfortable and enjoying their stay at Krazy Garlik. She even gave my son free ice cream after he’s done eating. Overall, Krazy Garlik is a really nice place to enjoy great food with family and friends. Their prices are really expensive, however, so it might take a while before we can visit this place again. This entry was posted in Asian Cuisine, Filipino Cuisine, Food Trip Friday, Greenbelt 5, Krazy Garlik, Mediterranean Cuisine, Restaurant Review. Bookmark the permalink. 14 Responses to Food Trip Friday: Krazy Garlik! i haven’t been to this resto in G5. the spinach and cream cheese looks yummy. and the spiced water sounds interesting. I love garlic, I hope they have branches somewhere near. is that the owner with Jake?she look so young! you know I so wanna go there because I want to try their garlic creme brulee! Akala ko spicy talaga yung Spiced Water, but I love strawberries. Mixed with watermelo, it must have been so refreshing. You’re right, spicy food is not ideal with kids. 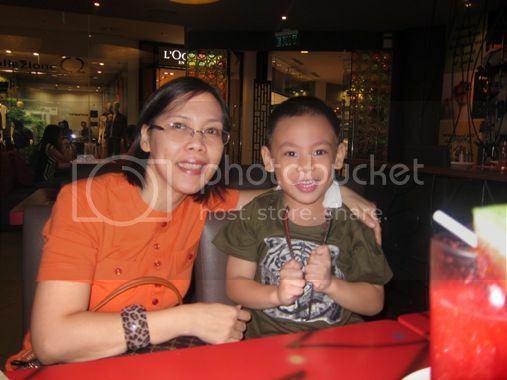 Sometimes I wanted to order something spicy but I couldn’t because of my little one. Thank you for visiting my Little Korean entry via Food Trip Friday. Have a great weekend! Wow, di pa ako nakakain dyan. 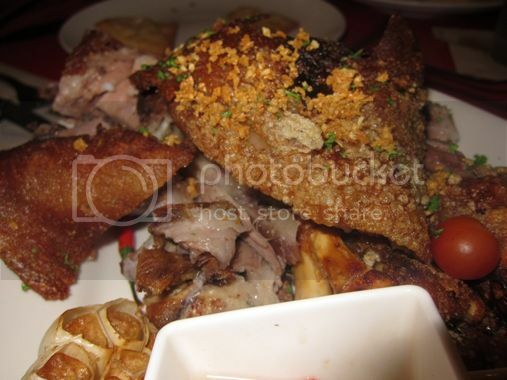 will put that in my list.. sarap ng pagkain dito..
oh my! what a sweet treat….yummy! thanks for dropping by my FTF!